You are a bit too fast for us! Dear visitor. We are not quite ready yet. We have locked our bilingual intern in the office and ordered him to hurry up! We expect the English page to launch till end of August. Our Englisch webpage will be online shortly. Till then do not hesitate! Simply call us or write us an e-mail! Visit our Online-Shop. 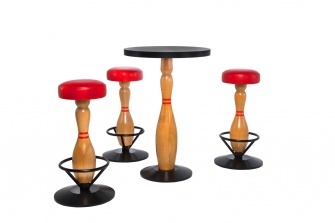 Here you can also find our professional-strength pin-shaped bar furniture.